D.C. pool employees who performed CPR saved a 7-year-old girl found seemingly lifeless at the bottom of the pool. News4's Jackie Bensen reports. 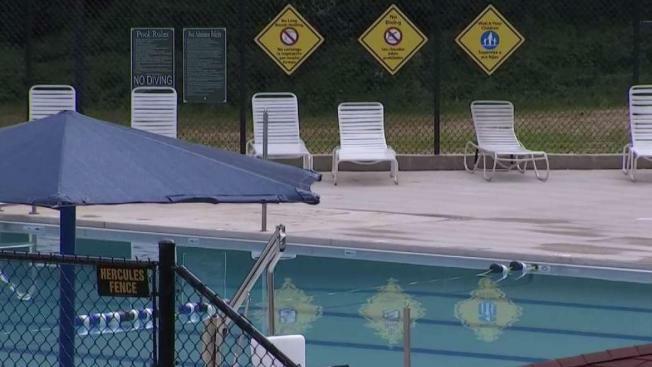 A witness called the resuscitation of a little girl at a pool in Northeast D.C. "miraculous." The Langdon Park Pool was filled with children when the girl went under. She was pulled from the bottom of the pool unconscious and seemingly lifeless. While others called 911, two pool employees began performing CPR on the girl, persisting until she spit out water. The little girl was scared but OK, witnesses said. When a D.C. EMS crew arrived, they found the pool staff had saved the girl. What happened is rare, crew members said. "This is one of those outcomes you don't see that often, especially with children and near-drowning situations," Capt. Nicole Liriano said. The little girl is expected to be OK. She was taken to a hospital to be checked out. The rescue of the child shows how important it is to know CPR, crew members and witnesses said.